Five days have passed since Equifax revealed a data breach that compromised the personal information of millions of people. But victims in Britain and Canada are still in the dark. The credit reporting company said in a statement last Thursday that there had been "unauthorized access to limited personal information for certain U.K. and Canadian residents." There's been only minimal information since. Americans have been able to log onto the company's website and input information that will help determine if they've fallen victim to the hackers. There's also a company helpline. The U.K. homepage for the site, however, makes no mention of the breach. The Canadian version of the site was only updated Tuesday with a short statement telling customers that the company is still investigating. It didn't say how many Canadians might be impacted. It also states that a link Americans can use to see if their data might have been affected won't work in Canada, and offers its "credit monitoring and identity theft protection product" for $19.95 Canadian dollars ($16.40) per month, even though U.S. victims get a similar service for free. The FBI is investigating the hack, and U.S. Treasury Secretary Steven Mnuchin said Tuesday he had spoken several times to President Trump's homeland security adviser about it. Officials outside the U.S. have said very little so far. Data protection authorities in Canada and the U.K. have expressed concern but so far have offered little help to potential victims. The Office of the Privacy Commissioner of Canada said it only became aware of the problem from media reports. It then contacted Equifax on Friday, and has been working with the company since to try to figure out how Canadians were affected, said Valerie Lawton, spokeswoman for the Canadian authority. The Financial Conduct Authority, the financial regulator which supervises Equifax in the U.K., declined to comment. Neither the company, nor official agencies, have said how many people may be affected in the U.K.
Equifax holds data of more than 820 million consumers and more than 91 million businesses worldwide, according to its website. The U.S., U.K. and Canada are its biggest markets. 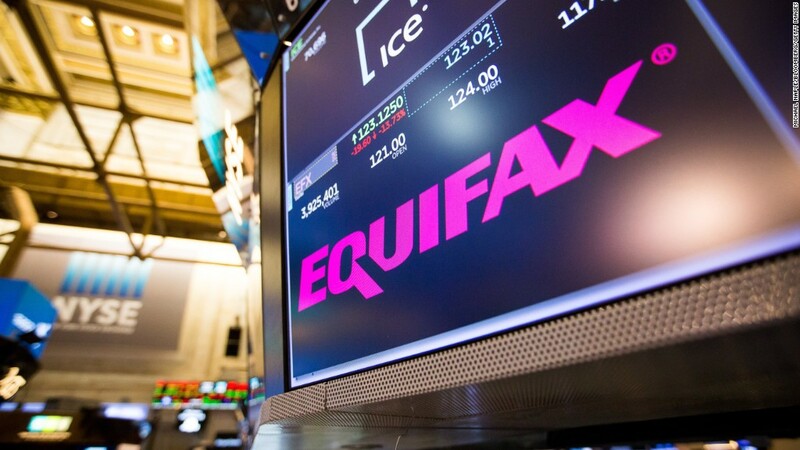 Equifax (EFX) is a credit-reporting agency that tracks and rates the financial history of consumers. The company gets its data from credit card companies, banks, retailers and lenders -- sometimes without their customers knowing. The company revealed Thursday that 143 million Americans could be affected by a data breach in which cybercriminals stole information including names, Social Security numbers, birth dates, addresses, and the numbers of some driver's licenses. Several major British and Canadian companies use Equifax to perform credit checks. British Gas and BT (BT) in the U.K., and TD (AMTD) and CIBC in Canada are among Equifax's biggest customers. TD said it was taking the situation seriously and "closely monitoring the situation." CIBC also said it is monitoring the situation. British Gas said it was "investigating the situation." Equifax operates in at least 24 countries globally. It said it has no indication that personal information of consumers in any other country apart from the U.S., U.K. and Canada was impacted.